This is one of my new Tiddly Inks stamps which hadn't been inked up yet so I had fun with this one. I just love her - such a cute and wonderfully tender image! I coloured her up with my copics and am really pleased with how she turned out. I used the dot technique on her wings (first time I'm really trying this) and was quite happy with the result! 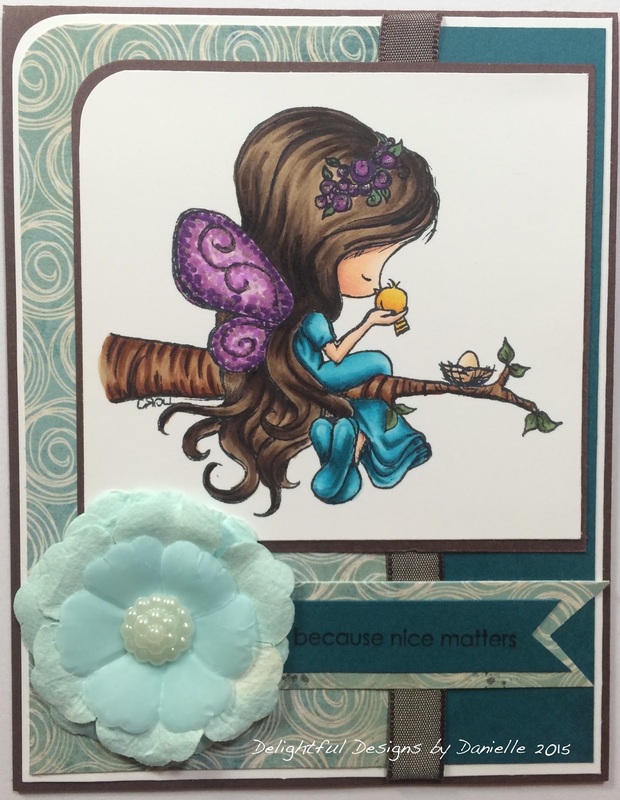 I followed a pretty simple sketch and just finished the card off with a beautiful flower & sentiment. That's all for now! Off to enjoy the rest of this gorgeous sunny day! Until next time ... happy crafting! I love this image! It's one of my favourites! You've done a beautiful job with it! Thanks for joining in our Paws for Thought challenge at Tiddly Inks! This is such a pretty card, I love how you've coloured her hair and the folds in her dress. This is just perfect for our challenge this week. Thank you for sharing and joining in with the fun at Tiddly Inks this week and good luck. Lovely! Such wonderful colours. Thanks for joining us at Tiddly Inks. Sweet card, thank you for joining us at Crafting from the heart. Gorgeous card! Love the colors! Thank you for joining us over at Tiddly Inks!